We are a leading Manufacturer of hydraulic two post lift, hydraulic two post hoist, two post lifts clear floor, low rise portable lift and four post lift from New Delhi, India. Backed by a rich industry experience, we are engaged in offering optimum grade of Hydraulic Two Post Lift that has maintenance free load bearing capacity. 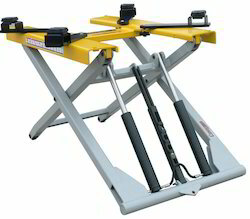 These hydraulic lifts are appreciated in the market for its sound motor power and ability to withstand extreme working pressure. Our hydraulic lifts are designed by using best quality of material & leading techniques in accordance with the set norms of industry. 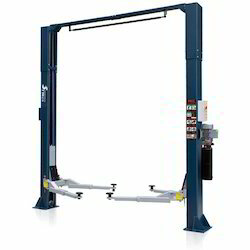 Offered hydraulic lifts are tested in terms of quality by our quality controllers for ensuring their flawlessness range. 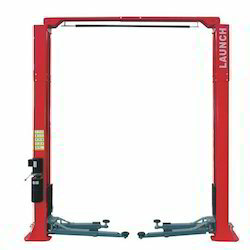 We are offering wide range of Hydraulic Two Post Hoist. We manufacturer these products make use of quality material and advanced technology. These Economical Floor Plate Two Post Lift are tested for much higher loads and are fitted with all necessary safety features. By our rich industry experience, we are committed towards offering wide array of Two Post Lifts Clear Floor. The provided product is available from us on several specifications as per the demand of customers. This product is developed by making use of optimum grade raw material and leading-edge technologies in fulfillment with set industry standard. This product is highly demanded in the market for its robust construction and long lasting operational life. 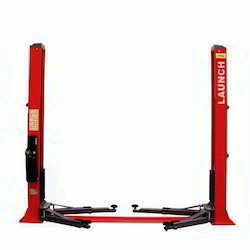 We offer wide range of Low Rise Lift Model. 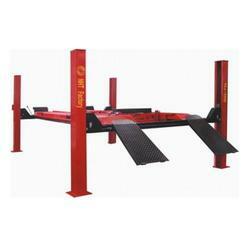 We are noted organization actively engaged in offering a wide assortment of Four Post Lift. Applicable in automotive sectors, our workforce manufactured this product by making use of advance technology & finest material after following the industry standard. This product is in great demand in the market for its load bearing capacity. We are giving this product to our customers in a committed time frame at affordable rates.